Get out and take a stroll through the squares, visit one of the many museums, watch the ocean going ships glide by the river side or spend a day at the beach. 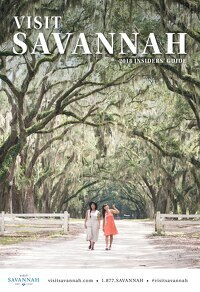 Whatever you are looking for, Savannah is flourishing with things for you to do and see. Savannah caters to visitors with special events and festivals, not to mention an amazing cultural scene as Savannah is the home of the largest art school in the country. From fine dining in sumptuous surroundings to laid back evening meals at rustic waterside settings, Savannah has much to offer those seeking superb Lowcountry food as well! Visit our website at VisitSavannah.com and enjoy!